From Chuck Stewart, one of Integrity’s most senior fire alarm technicians: “I’ve been in this industry for several years and one of the odd challenges we come up against every now and then is ‘the chirp’. When a building’s tenant reports that annoying chirp you usually hear from smoke detectors, we have to hunt those crickets down. On one occasion, we made several visits to a location where we never actually heard the sound that a tenant was reporting. Even after completely swapping all the smoke detectors for new units, the client still complained. Finally, we got lucky and caught the cricket – unfortunately, we found the sound was coming from a carbon monoxide detector that was plugged into an outlet and was not easily visible either. Lesson learned and one that we relay to customers whenever “the chirp” is reported. Some years ago, two college students died from a fire in a house with ionization smoke detectors. Ionization detectors are less expensive and use minute amounts of radioactive material to electrically charge plates which detect smoke – they respond quickly to flaming fires. Photoelectric detectors cost a bit more but use a light source that detects scattered smoke particles – responding faster to smoldering or smokey fires. Some firefighters suggest having both detectors in your house or business. “Dual sensor” detectors are available, but one study suggests that these were more prone to false alarms. Shortly after breakfast, some hospital employees noticed their fryer began smoking. Moments later, it burst into flames. Like magic, the cooker’s automatic fire suppression system detected the fire and went into action. The fryer’s fuel supply turned itself off and the master controller issued a call to the fire department. By the time the firefighters arrived, the suppression system had extinguished the fire completely. No property damage was suffered, no staff or patients were evacuated – in fact, almost no one knew a problem occurred until it was all over! 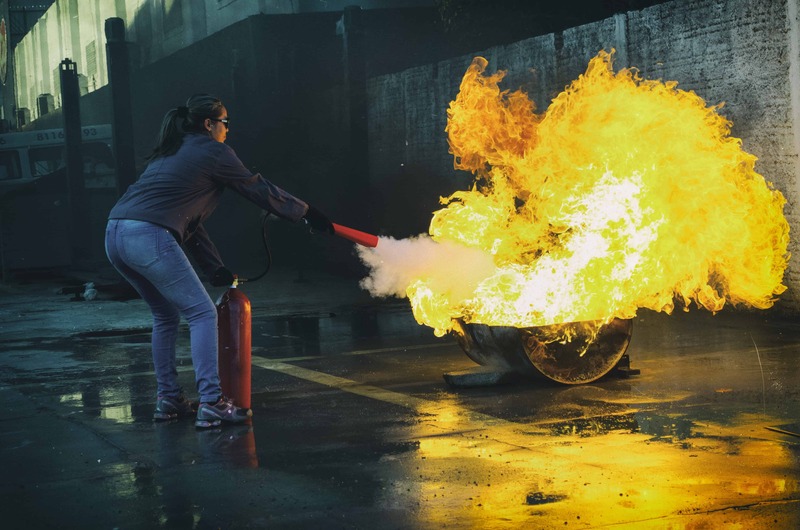 “Clean agent” or “gaseous” fire suppression systems use inert gases and chemicals instead of water to extinguish fires, a must for water-sensitive situations such as very expensive data centers. When a fire broke out in a server closet one Sunday morning, the detectors activated the system and snuffed the blaze before it damaged the computer hardware. The company ramped back up in hours, instead of days or weeks, and was open for business Monday morning. Fire system maintenance might be vital to the survival of your business, as well as your personal survival. Integrity Fire Safety Services is Denver’s premier provider of consulting, installation, maintenance, testing and inspection services. We’ll figure out what you need and make it happen.